최근 수퍼맨 만화 초판본이 인터넷경매를 통해 31만 7200달러에 판매되었다는 소식입니다. 한국돈으로 4억 7천만원 정도 되니까 굉장한 액수죠? In the old days when I was a youngster, I used to read the comic strips. I used to read comic books, too. The comic strips had been around more than a hundred years. 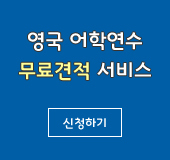 1894년에 첫 선을 보인 이후 미국에서는 115년 동안 수 많은 코믹 만화들이 생겨났지요. 리오라 선생님은 어떤 코믹만화를 가장 좋아하세요? Well, I brought with me one of my favorite comic strips. The one I used to read when I was young, and it was called Nancy. ‘Nancy’는 ‘Ernie Bushmiller’라는 작가가 창작해 낸 만화 주인공으로 1938년부터 신문에 ‘Nancy’라는 만화가 연재 되기 시작했습니다. 넓적하고 동그란 얼굴, 뻣뻣하고 뾰족뾰족한 단말 머리에 리본을 매고 치마를 입은 땅딸막한 소녀인데요, 좀 못생겼지만 하는 짓이 귀여운 여덟 살 여자 아이 모습입니다. 여덟 살 짜리 아이의 눈을 통해 웃고 울고 사랑하고 미워하는 세상 사람들의 모습을 그리고 있는 만화입니다. 1970년대 전성기에는 전세계 900 여 개 신문에 연재가 되었던 만화입니다. 코믹 만화가 어린이들을 위한 것이라고 생각하는 사람들이 많은데요, 실제로는 남녀노소 구별 없이 누구나 좋아하는 것이 이 코믹 만화입니다. Many adults always read the comics in the newspapers and have a favorite one that they like to read either everyday or in the Sunday paper. And then there were also spin-offs like super natural heroes like 'Superman', and 'Batman' and 'Spiderman'. 정의를 위해 악당들과 싸우는 초인적인 능력을 가진 ‘Superman’, 박쥐인간 ‘Batman’, 높은 건물을 거미처럼 잘 올라가는 거미인간 ‘Spiderman’ 등 많은 사람들의 사랑을 받은 만화 주인공들이었죠. 영화로도 많이 제작되었고요. 저는 일요일판 신문을 좋아했었는데요, 일요일판 신문에는 ‘Sunday comics’, 또는 ‘Sunday funnies’라고 해서 코믹 만화가 총천연색으로 특별히 많이 나오지요. On Sundays most of the major newspapers have a special section that is 4, 5, 6, 7, 8 pages of nothing but comic strips. And sometimes children or even adults would fight over the comic strip. 코믹 만화에 얽힌 어린 시절 추억이 있으신가요? My uncle owned a drug store, and he used to sell comic books in his drug store. And the drug store was in a small town, and the local kids would come in and read the comic strips, sit on the floor in front of the stand where all the magazines and comic strips were sold. And they’d read them, and if the covers got torn off, he couldn't sell them. So, always whenever I go to visit him, he’d give me a big stack of comic books. And I enjoyed them for many many days and enjoyed all of those comic books. 코믹만화 주인공들은 좀 독특한 특징을 가지고 있지요? Many of the comic strips have characters that just never seem to age. They look the same day after day, week after week. 코믹만화 주인공들은 대체로 나이를 먹지 않습니다. 예를 들어 ‘Blondie’라는 만화에 나오는 주인공들의 경우에도 80년 전이나 지금에나 모습이 똑같지요. Yes, they just don't age. They are the same day after day. 늙지 않는 것, 그게 만화 주인공들의 특권이기도 하지요. Comic strip characters do not age. I used to read Popeye when I was younger. And I used to read that in the comic strips in the newspaper. 리오라 선생님도 어렸을 때 신문에서 ‘Popeye’를 읽곤 했군요. 한국에서는 ‘뽀빠이’라고 번역이 되었었지요? And he eats his spinach everyday. ‘Popeye’는 매일 시금치를 먹지요. 시금치를 먹으면 힘이 솟는다고 해서 시금치를 싫어하는 미국 어린이들한테 시금치를 먹도록 홍보하는 역할도 했다고 합니다. And he has a girlfriend Olive Oyl who he is competing with attention of, and he is competing with Brutus who wants to win Olive Oyl over. And Popeye has to compete with Brutus. Popeye한테는 여자친구 Olive Oyl일 있는데 항상 ‘Brutus’라는 거구의 해적두목처럼 생긴 사내하고 Olive Oyl의 사랑을 차지하기 위해 줄다리기를 벌이지요. 브루투스한테 두들겨 맞고 시금치를 먹으면 힘을 내서 싸우기를 반복하지요. 리오라 선생님이 좋아했던 다른 코믹 만화는 무엇이 있는지요? I always like to read the Family Circus, and then Dennis the Menace was a comic strip before it became TV show. I think probably if you read a comic strip, it maybe takes your mind off of some of the worries that you have. 코믹 만화는 영어 공부에도 도움이 되지요. Yes, it can be humorous, and it's a good way to learn English and learn of some of the common expressions and common things people Americans do. 코믹 만화를 통해서 미국이나 서양 사람들의 웃음을 이해할 수 있고, 영어 표현도 익히고, 일상 생활에서 있을 수 있는 일들을 체험해볼 수 있습니다. 문화적인 면도 배울 수 있고요. Yes, it's a good way to learn customs and cultural aspects. 웰컴투아메리카, 오늘은 미국의 코믹만화에 대한 이야기를 나눠봤습니다. 지금까지 저 박형권, 그리고 리오라 앤더슨과 함께 하셨습니다. 다음 주 이 시간, 다시 찾아 뵐 때까지 행복한 한 주일 보내십시오. It was good being here with you. See you next week.